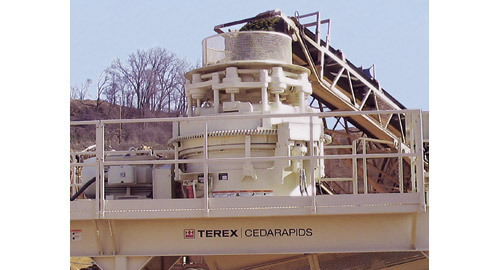 The Terex® Cedarapids RC Series cone crushers feature advanced crushing chamber technology that yields impressive capacities, fine output gradations and a highly cubical product. 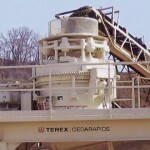 With improved crushing capabilities, the Rollercone® roller bearing design is able to produce larger outputs than conventional cone crushers. Couple the advanced chamber technology of the RC Series with interchangeable liner configurations for fine or coarse crushing and you have highly efficient, extremely versatile cone crushers.